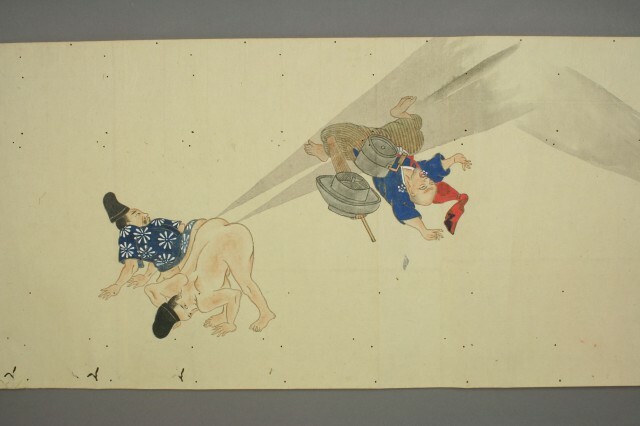 He-gassen is a Japanese art scroll from the Edo period featuring a number of people farting at each other, objects, and animals. 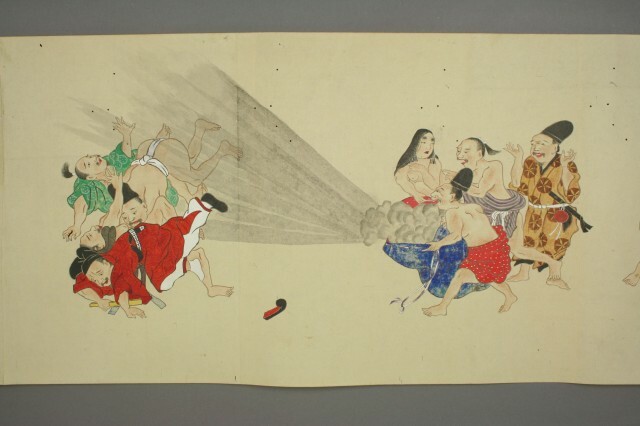 The scroll was digitized by the Waseda University Library, and is available in full on the organization’s website. The physical scroll measures 29.6 centimeters by 1,003.1 centimeters.